I start my morning off ready to do my makeup when I look into the mirror and freeze. Everyone has something they are self conscious about and mine is my skin! That’s not something I am afraid to admit. I am always on the market to try new skincare regimens. Why not? 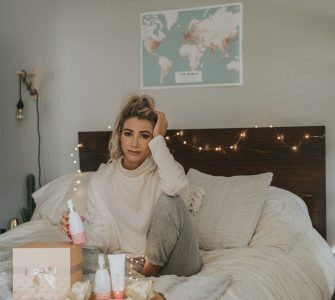 Me, just like anyone else, wants that one way ticket to beautiful flawless skin! So sign me up, I’m hoping on board! 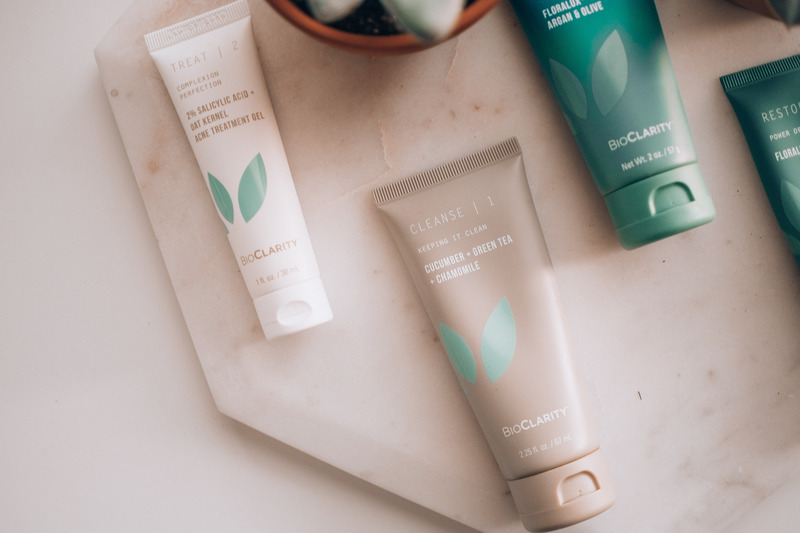 When I first heard of BioClarity it was through one of my favorite LA bloggers, REMI ISHIZUKA. I just adore her style and aesthetic! After seeing her before and after photos I was really excited to try BioClarity! 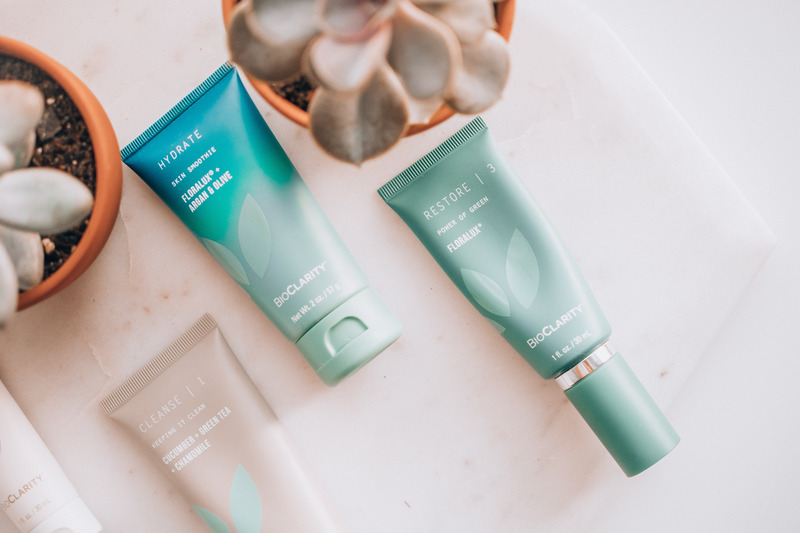 BioClarity is a naturally and clinically-backed skincare regimen that clears and heals your skin without harm. The regimen helps clear the skin without the dryness and redness. What I love? The natural key elements! It is formulated with therapeutic botanicals that help calm, exfoliate and clear your skin. 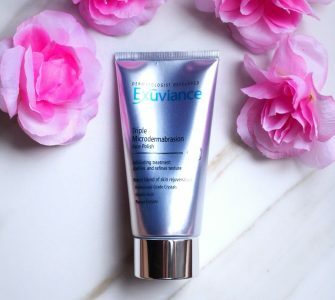 It is also formulated with nourishing plant extracts such as green tea, chamomile, cucumber, oat kernel and licorice root that helps calm and refresh the skin. The 3-step routine has the power of plants for a more balanced and clear complexion. BioClarity is clinically proven to fight acne, soothe skin, reduce pore size and even out skin tone. I am very health conscious and love adding plant based products into my life that is clean and green! What is the 3-Step Process? BioClarity consists of 3 simple and easy steps to follow. Your first shipment will include a 30-day supply of the Cleanser, Treatment and Restore Gel. For best results, it’s important to continue the regimen daily. You can start to see results in as early as 2 weeks! The cleanser lathers up so nicely and makes my skin feel so refreshed! After cleansing my face, I then proceed to use the step 2- Treat, which is a salicylic acid acne treatment gel. 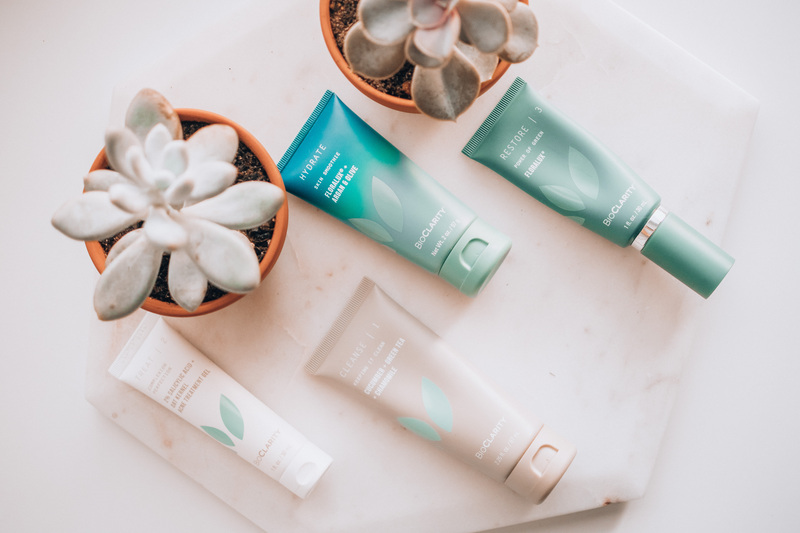 My skin tends to get dried out from the salicylic acid, so I love applying the 3rd step-Restore, which is a fun green pigment that helps nourish the skin with vitamin-rich, antioxidant powerhouse! Lastly, after step 3, I like to use the Hydrate-an indulgent soak, every other day. It helps moisturize my skin and it’s lightweight and breathable! I also really like using it in the mornings. It is SO refreshing! I am loving this 3 step process! I am prone to acne break outs from genetics. However, I will not let that get me down. 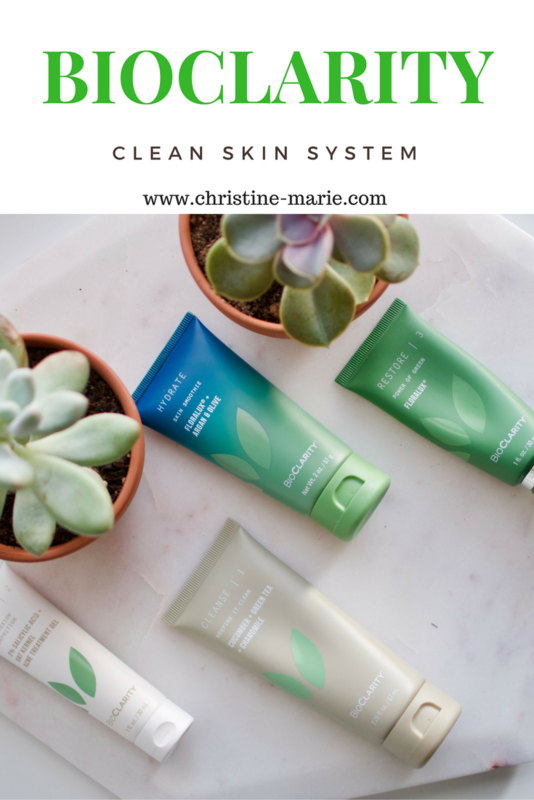 I love trying new skincare lines that help promote clear, healthy skin by using plant-based ingredients. Head to BioClarity.com and purchase your first 30 Day supply. Get $15 dollars off your first order for just $14.95 (reg. $29.95). Use Promo Code “BIO50” It’s such a great deal for this skincare!! Have you had the chance to try BioClarity? Let me know in the comments!